The Buzz About Taxes: Alimony? What Is That? And Do I have to report It on my taxes? Alimony? What Is That? And Do I have to report It on my taxes? The word Alimony comes from the Latin Word alimonia which means nourishment or sustenance. It also comes from Scots Law which is the legal system of Scotland and their concept of aliment. This was a rule of sustenance to assure the wife's lodging, food, clothing and other necessities of divorce. In the 1970s, the United States Supreme court ruled against gender bias in alimony awards. You may remember some high profile divorces, where women such as Britney Spears, Jessica Simpson etc have paid multimillion dollar settlements in lieu of alimony to their ex-husbands like Mother Goose in this cartoon! Alimony is not child support. Child support is paid by one parent to the custodial parent mainly to support the needs of their children. Usually child support is not considered taxable income to the parent receiving it and is not deductible by the parent making the payments. However in most countries and certainly in the US, alimony is deductible to the person paying it and taxable income to the person receiving it. The Treasury Inspector General for Tax Administration (aka the TIGTA) recently released a report that "Significant Discrepancies Exist Between Alimony Deductions Claimed by Payers and Income Reported by Recipients". This report highlights the errors made by taxpayers & preparers alike in reporting alimony. How Should Alimony Paid/ Received Be Reported By the Taxpayer? The Alimony paid to an ex-spouse should be part of the divorce decree. Such decree should be examined thoroughly. Child support or other payments to be made by decree have to be clearly separated from alimony. The ex-spouse's Social Security Number should be noted correctly and reported on the tax return by the spouse making the alimony payments. The alimony paid is an above-the-line deduction, taken on line 31a of the Form 1040. Alimony received is taxable income and is reported on line 11 of the Form 1040. 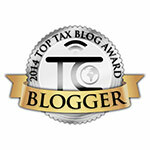 TIGTA recommended that the IRS evaluate its current examination filters. This is to make sure that potentially high-risk tax returns are not excluded from examination and the IRS develops a strategy to address the compliance gap. TIGTA also recommended that the IRS revise processes and procedures to verify that all tax returns include a valid recipient TIN/ SSN when claiming an alimony deduction and correct errors in IRS processing instructions to ensure that a penalty is accurately assessed on all tax returns on which a valid recipient TIN/SSN is not provided. If you use a software to prepare your tax returns, it should give you an error message if you are claiming an alimony deduction without a recipient's SSN/ TIN. We have to wait and watch how the Internal Revenue Service implements the TIGTA's suggestions, till then make sure you are reporting Alimony in a correct manner. Bibliography: Form 1040; TIGTA Report 2014-40-022; IRC 215.